As a young girl in Bangalore, Gayathri was surrounded by the fragrance of jasmine and flickering oil lamps, her family protected by Hindu gods and goddesses. But as she grew older, demons came forth from the dark corners of her idyllic kingdom--with the scariest creatures lurking within her. The daughter of a respected Brahmin family, Gayathri began to feel different. "I can hardly eat, sleep, or think straight. The only thing I can do is cry unending tears." Her parents insisted it was all in her head. Because traditional Indian culture had no concept of depression as an illness, no doctor could diagnose and no medicine could heal her mysterious malady. This memoir traces Gayathri's courageous battle with the depression that consumed her from adolescence through marriage and a move to the United States. It was only after the birth of her first child, when her husband discovered her in the backyard "clawing the earth furiously with my bare hands, intent on digging a grave so that I could bury myself alive," that she finally found help. After a stay in a psych ward she eventually found "the light within," an emotional and spiritual awakening from the darkness of her tortured mind. 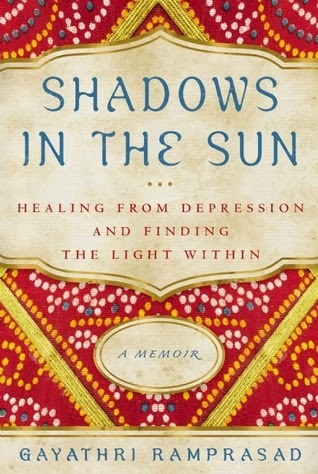 Gayathri's inspiring story provides a first-of-its-kind cross-cultural view of mental illness--how it is regarded in India and in America, and how she drew on both her rich Hindu heritage and Western medicine to find healing. Gayathri Ramprasad is the Founder and President of ASHA International (www.myasha.org) a non-profit organization promoting personal, organizational, and community wellness. She is also a Certified Peer Specialist (CPS). Gayathri is a member of the Global Speakers Federation and the winner of the prestigious Eli Lilly Welcome Back Award for Lifetime Achievement, the Voice Award for Consumer Leadership sponsored by the Substance Abuse and Mental Health Services Administration (SAMHSA), and the Outstanding Alumna Award from her alma mater George Fox University. The author is not preachy here at all; this book seems more like narration. Usually in such conditions when you try to write about your own problems you tend to portray a much larger picture of theirs than what is, immediately catapulting yourself into the superhuman league albeit unknowingly. But here the author has ensured that she even shares her vulnerability, her failures, her fears, her tears and her nightmares. She has neither presented a solution nor a problem. She has opened her heart before us and told us what went wrong and where. And that makes it all the more touching. You cry with her, smile, celebrate and feel happy at the end when you her emerging victorious. The narrative of the book is beautiful, simple and yet one that touches the heart. She manages to strike a chord with the reader from the first page itself so much that I had to limit my reading of this book for the fear of waking up my own past demons. I have cried after reading a lot of portions from this book and felt like hugging her just to say I understand… and that is what I call the power of one’s writing. The writer has put a part of her soul in it and that makes this book all the more special. I would recommend this book to one and all – to understand that deep inside all of us is a dark side which at times comes out and at times doesn’t. It’s coming out in open doesn’t make us a bad person and imply that the ones who don’t are good people. The belief that no one is born evil is the ultimate truth. It will help you give a deeper understanding of your own self and of people around you – most importantly it attempts to answer the most difficult yet important question that haunts us – Why is he/ she like this? What must have made him like this? 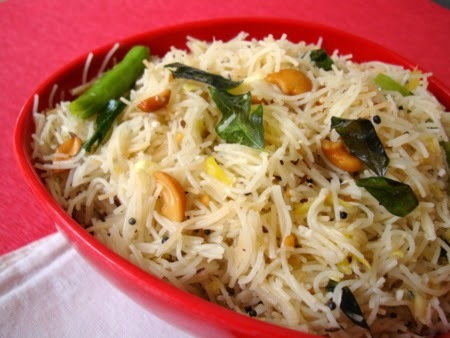 This book is Mavadkaiye Semya Upma (Raw mango Vermicelli Upma) - differently delicious! Yup! This book is very useful.